Christmas Charm instructions will be posted here sometime over the Thanksgiving holiday. This was my original drawing of it. 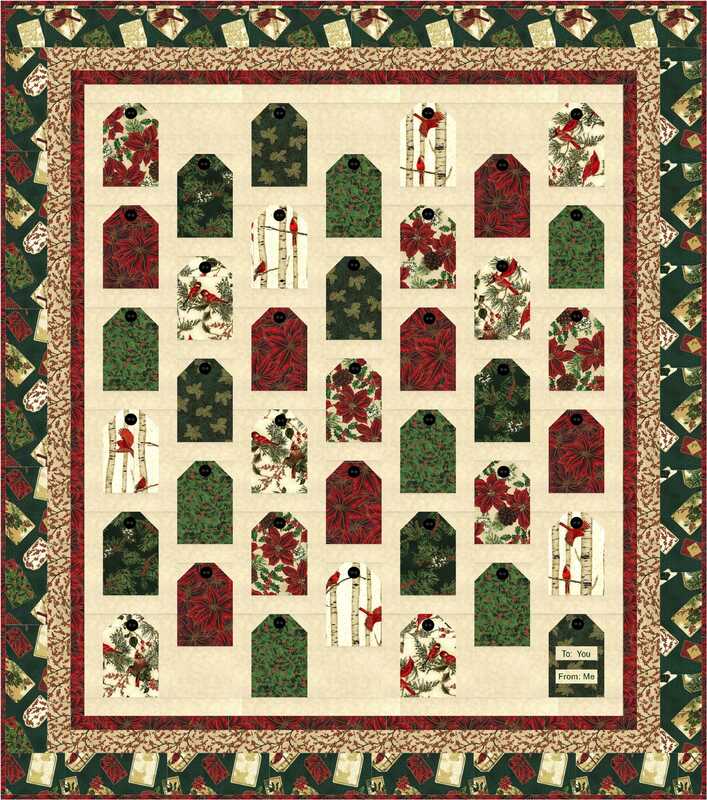 It uses a charm pack for the charm squares but you can cut the “charms” from your stash too – a simple scrappy stashbuster – whether it’s done in a holiday themed fabric or any other fabrics you choose. Here’s the final EQ drawing of it – a few changes were made. Why the change in borders etc? Well due to operator error – I made my pinwheels the wrong size and already had all the border pieced blocks done so had to make them all fit together. 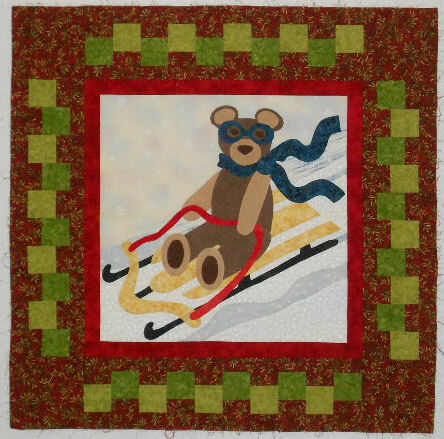 🙂 But it’s all good – that wider center border leaves room to showcase some quilting. Here’s my finished top – hanging a bit crookedly on the design wall and the border does not show up true to color in the photo. 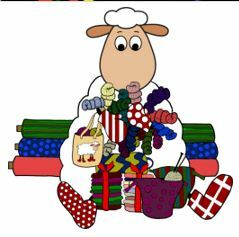 It will top my dining table for the winter season (if it gets quilted in time). 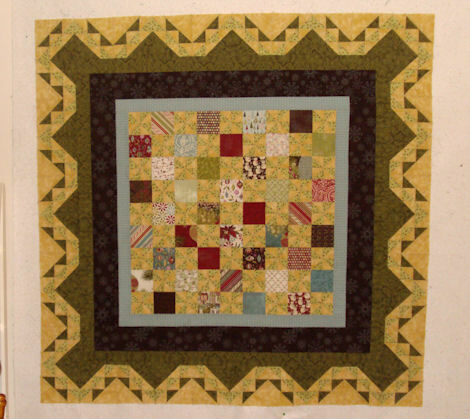 The quilt finishes 60″ square. Check back here in early November when I hope to have the yardage requirements posted. thank you for Christmas Charm. I just love the border. 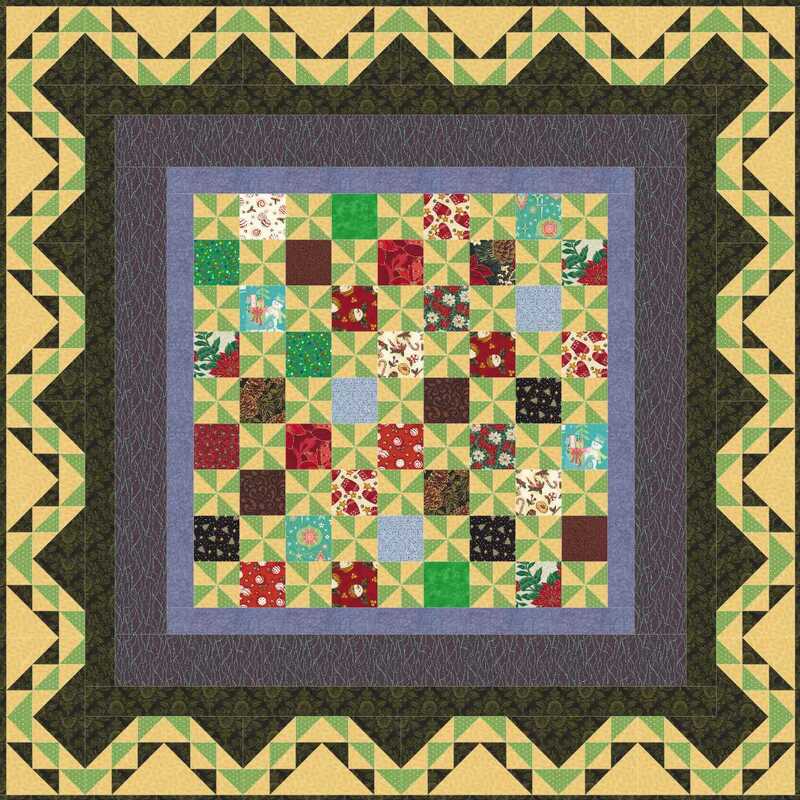 You always have such neat borders which I think makes the quilt shine. another great pattern. Dana in La. 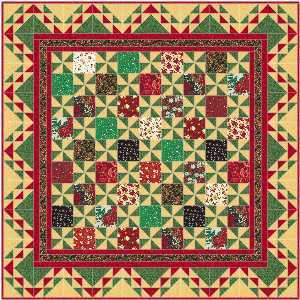 Thanks Helen – that reminds me, my version of it is still in the “needs to be quilted” pile!